Brisbane’s median house price has hit a record high of $673,000 after an increase of 2.5 per cent in the past year. The market in Brisbane’s local government area (LGA) has grown almost 30 per cent in the past five years thanks to “steady, sustainable growth”. 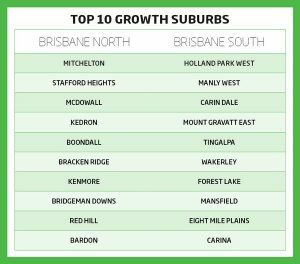 Read more about the Top 10 Growth Suburbs Of Brisbane here.